A little bit ago we got Zach this small slide/climbing combo. Well, I got it and Alex asked what it was and “didn’t we need to discuss these purchases”. Once I got up off the floor where I had fallen down laughing, I scooted him outside to put it together. I had hoped that it would give Zach something to do outside so I could sit and watch him and provide motherly support from a comfy yard chair. 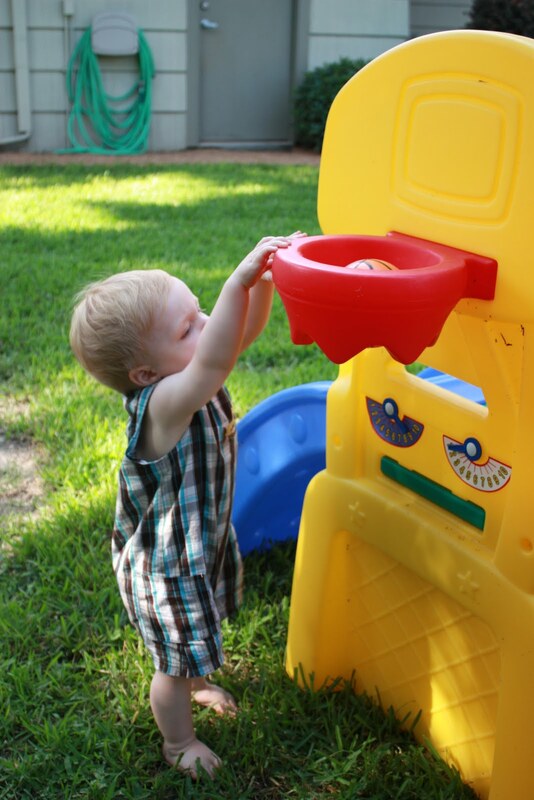 He liked it for about 3 climbs up and then just wanted to put the ball into the hoop. Over and over and over again. 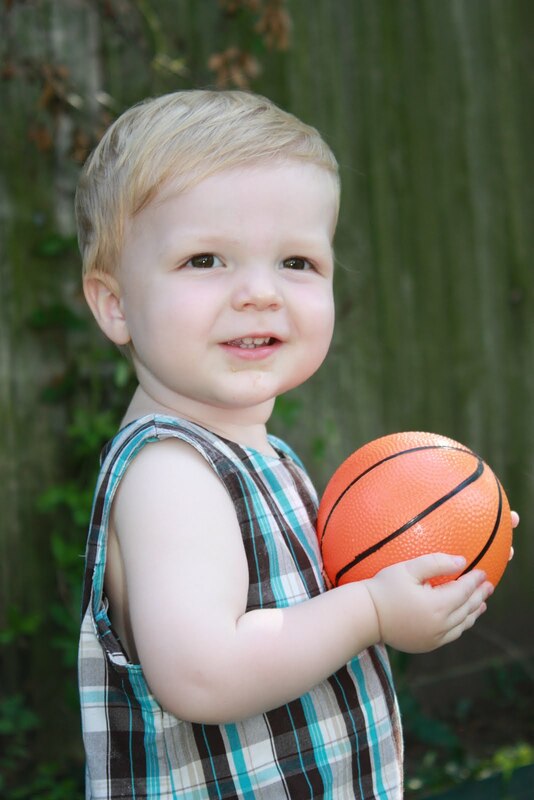 He was about 1 inch too small so I had to stand next to him and put the ball in. This was really cutting into my sitting time. Finally he must have grown as he can do it himself. 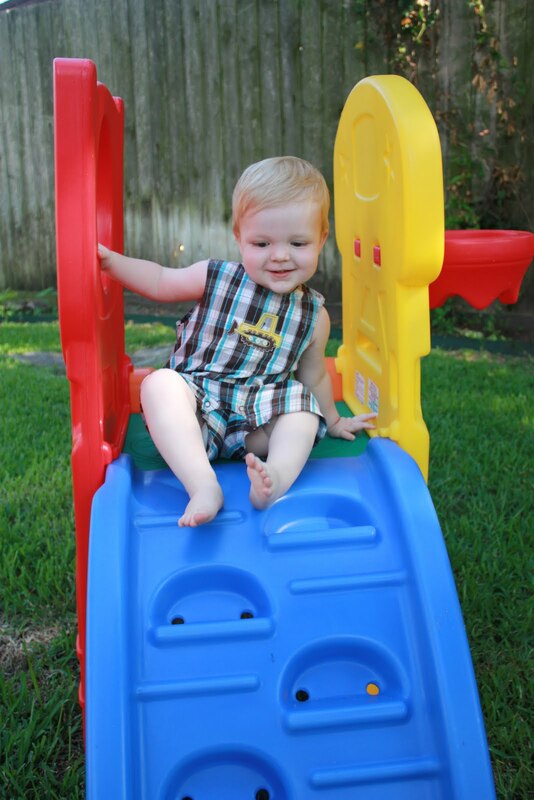 He still boldly refuses to slide down the actually slide part, preferring instead to bump down the climbing part. Whatever keeps him happy.